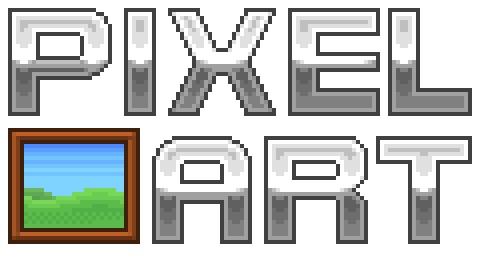 Welcome to the BLF Pixel Art gallery thread! Here, you can show pixel art that you have created, or view artwork that has been made by the other users of the forums to see how they make their kind of artwork. They can be made in any variants of drawing programs or they can be made in-game (like in Minecraft or Blockland). They can come in any sizes, from tiny things like icons or figures to large pieces of pixel artwork. = Sprites - figures/characters that can be made for either games or animations. = Backgrounds - large forms of pixel art that can be used as a desktop background that will suit in a correct resolution. = 3D - three-dimensional bits of work that has depth, height and length. It gives greater detail to the artwork and makes the artwork more interesting. If you want to know more about knowing and doing pixel art, read here. You are also free to post samples of pixel art made by other people for inspiration and examples, as long as you give credit to the original maker of the work. You can use this GIF maker to make the piece into an animated GIF. If you're new to pixel art or want to know about making pixel art, then this guide will come in good use. Have a nice time viewing our work and developing your skills on this form of art. Habbo Hotel in Habbo Hotel! Mindforget. On the right is Sulake's Hotel, I did not make it. On the left, is "my" hotel. The actual full-sized hotel, again, made by Sulake.. Some random soldier thingy, ignore top-right. On the left is a 3D Model in Blender, using photo manipluation, lines, layers and other things, on the right, I made it into Pixel Art. oh my what is this ! Someone teach me how to make this into a face for in-game.